Traveling in October is one of the most wonderful times of year to be Paris as you will inevitably encounter less tourists than during the summer months and Christmas season, experience the crispness of the fall weather before the temperature drops and even be able to participate in many exclusively October events and exhibitions in the city. Desired destinations outside of Paris such as Versailles will be less packed than usual, and Giverny, where Claude Monet‘s house and gardens are located, will also be less crowded with tourists and even closing soon for the winter seasons in November. Additionally, fall temporary exhibitions at the museums usually begin in the end of September or beginning of October, such as the current Rembrandt exhibition at Musée Jacquemart-André and the current Margritte exhibition at the Centre Pompidou. For this article, the INSIDR team has complied our top 5 events occurring only in October in Paris, as well as our top cozies cafés for when you need a warm cup of coffee this October. Le Nuit Blanche is an all-night art festival that takes over the city on the fist Saturday of the month of October every year. It is a free dusk-till-dawn festival celebrating all different types of art, music and theatrical events and there will be a lot of things to see throughout the night. The event starts at 7pm and goes on until 7am the next morning. This October, Le Nuit Blanche created an app, “Nuit Blanche Paris” to help visitors navigate their way to the their desired art setting so be sure to download it for yourself on your smartphone when you arrive! If you don’t know where to begin (as the map can be overwhelming indeed!) every year at La Place de l’Hôtel de Ville there is one of the largest exhibitions. The Fête des Vendanges de Montmartre is an annual grape harvest festival in Montmartre, where the only functioning vineyard left in Paris is located. The festival lasts usually 5 days and on the days preceding the weekend you can visit the vineyard free of charge and participate in tasting courses, while on the weekend you can witness the grape harvest and grand parade! To culminate the festival on the last day there is a ball in the evening from 5-7pm where the whole community gathers to dance and celebrate another successful October harvest! The Harvest Festival has been an annual occurrence for over 80 years now and brings together not only the community of the current residents of Montmartre but all Parisians wishing to celebrate the fall grape harvest. FIAC stands for Foire Internationale d’Art Contemporain (or International Contemporary Art Fair), and is an event where each gallery from Paris and beyond will display selected works by their artists to the public in hopes of making sales. Although many of the high-end galleries will be at the FIAC, there are often lower cost galleries on display if you are interested in buying. Mainly, FIAC is a fun event to attend to simply marvel over the contemporary art market. It is held in the Grand Palais (3 avenue du Général Eisenhower 75008) and admission tickets can be bought online to avoid waiting in line at the venue! Also, specific local Parisian galleries will remain open exceptionally until 10pm at night during the FIAC. Disneyland Paris’ Halloween celebrations and decorations rival the Disneyland United States’ Halloween festivities. At the Disney parks in Paris around Halloween, there will be exceptionally elaborate parades for the fall season, spooky shows and Halloween dress-up with Disney characters for children. INSIDR inside tip: Be sure to buy your tickets to the parks and special events online before arriving as the lines can be daunting! The Salon du Chocolat at Porte de Versailles is a uniquely French event where chocolatiers from all over France come together to display their chocolate products in Paris, and if you’re lucky, even allow you to sample them. The event takes place on two floors: the top floor compromised of various different stands representing different chocolate shops whereas the ground floor is a display of chocolate works of art (literally chocolate sculptures). If you are searching to sample some of the best chocolate in France and want to buy some souvenirs to take home, do not miss out on this event. Tickets can be easily bought online prior to arrival. 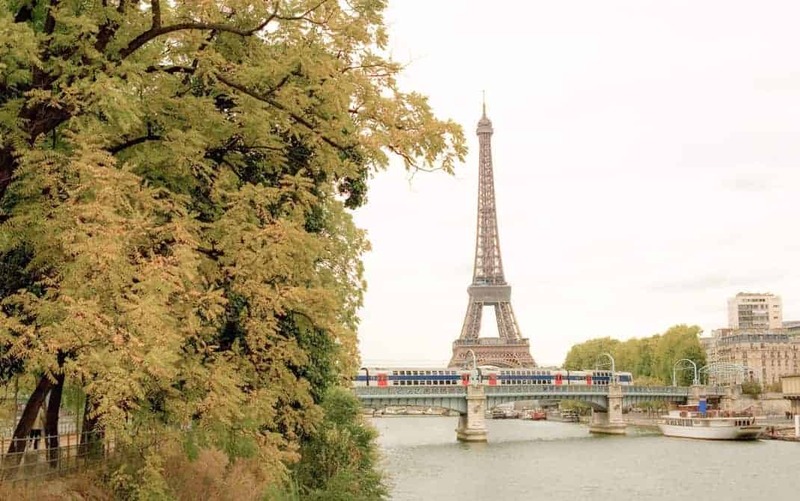 While in October there are a plethora of other events aside from our top 5 as listed above, one of the most beautiful and simplest things to do in Paris in October is to walk through the parks before the leaves fall to the ground for the winter. We at INSIDR, love cozy cafés after a stroll in the cold, so we have complied our top 5 for you to visit this October.